Nancy's Nook : It's a brand new year. I think it's great that we get to have a brand new year every year, don't you? 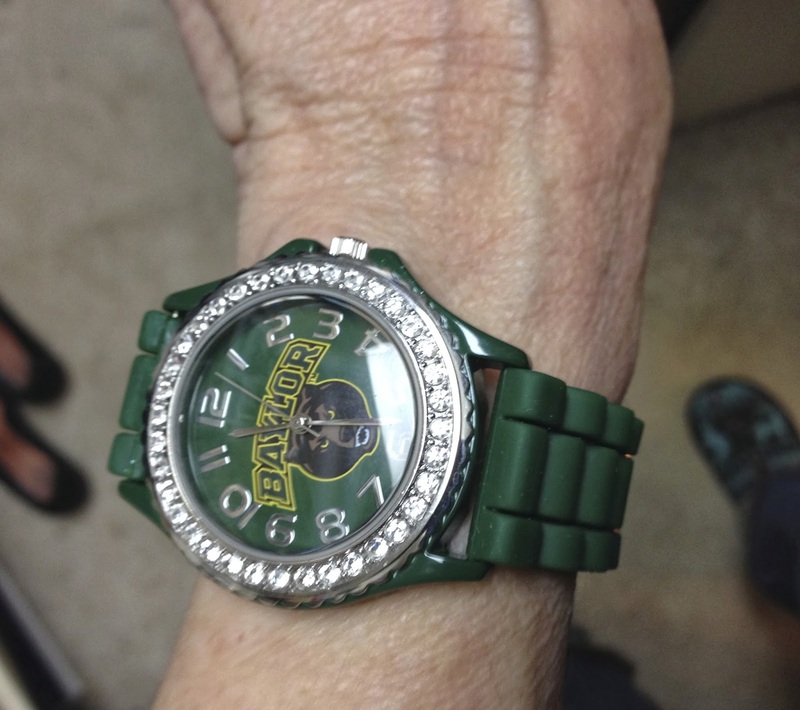 Right this minute I'm wearing my green and gold and have my Baylor watch on (that I got at Charming Charlie's for $20). Baylor is playing the University of Central Florida tonight in the Tostito Fiesta Bowl! Oh, and I have some Tostitos in the pantry - ready. 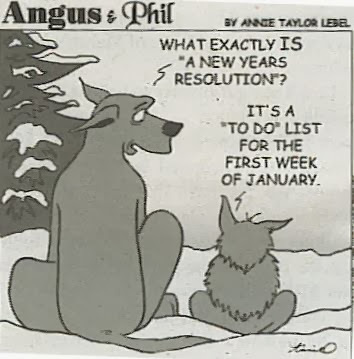 Actually I have had New Year's resolutions that I HAVE seen through, yes. Two years ago it was to join a health club so as to get serious about getting in better shape. And I've been (pretty) faithful for two years! 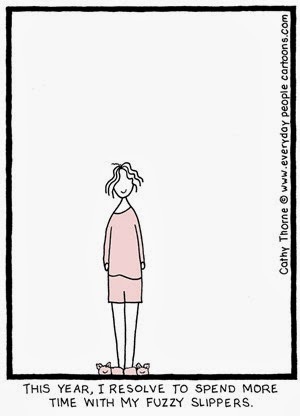 and don't get colds and other junk as frequently. 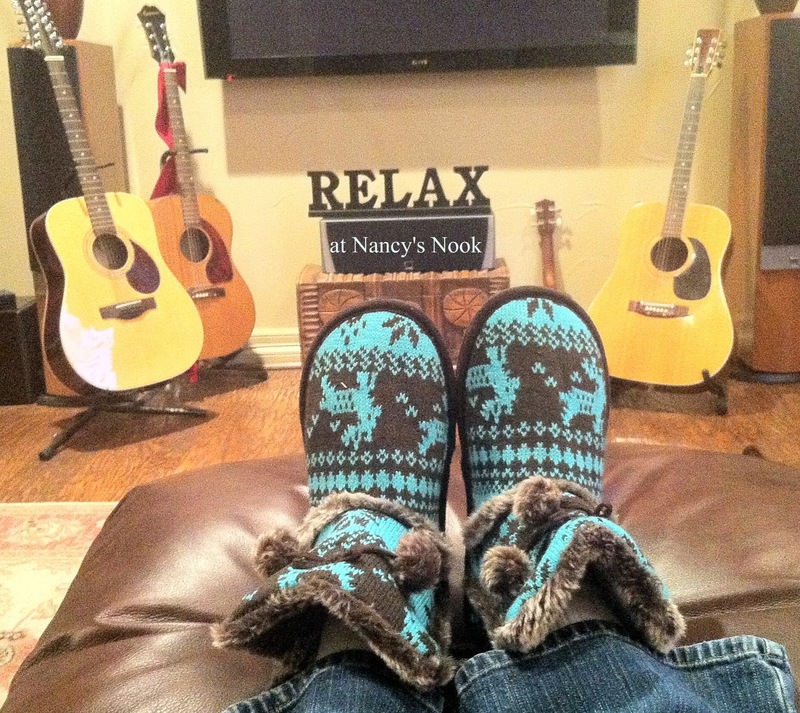 So I'm going to spend more time in my fuzzy slippers. about resting, and quiet, and solitude. That should help with my resolution. That's a great Resoluton.....I bought a little place at Lake Fork in East Texas......I plan on spending some time there this year....Glad you are going to Blog more.....enjoy reading what you have to say.....Happy New Year.